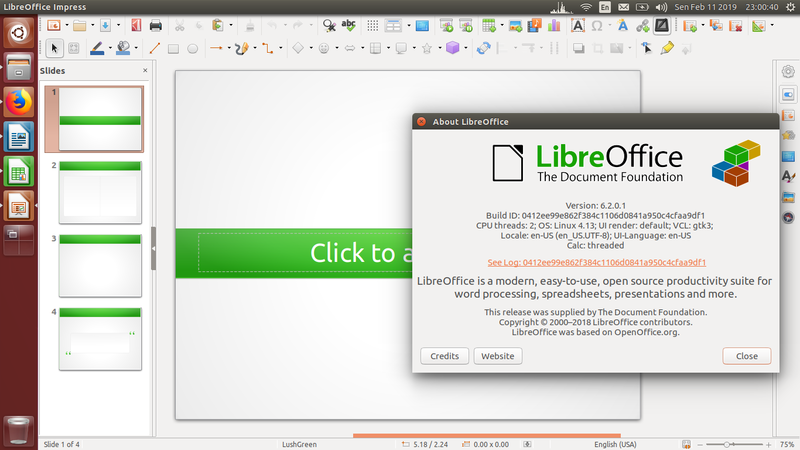 LibreOffce version 6.2 released recently at 7 February 2019. It is the latest stable release of the best office suite software ever. It is available for GNU/Linux, Windows, and macOS. But how to run it on GNU/Linux (Ubuntu and other distros) without adding PPA and without changing the system? 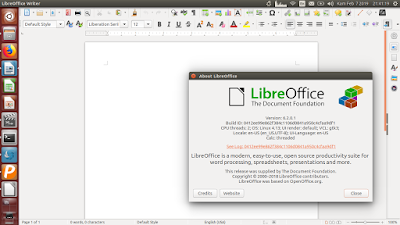 Easy, you can run LibreOffice in AppImage format. You download the file, you give it permission, and double-click it to run the program. 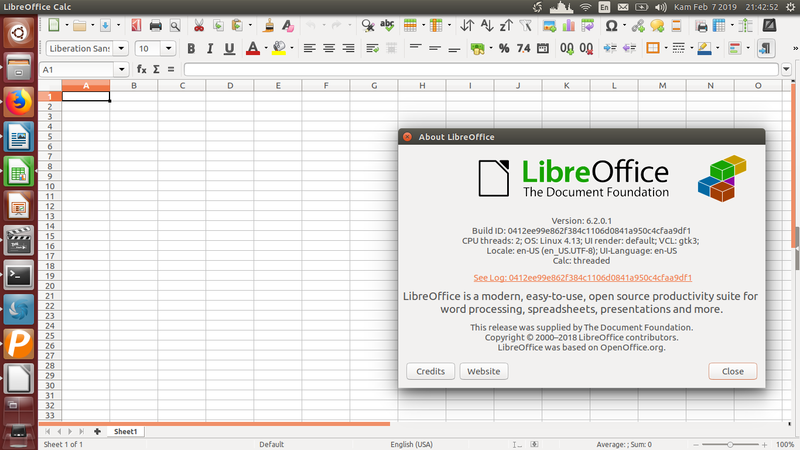 It is portable, without any installation to the system, and you don't lose your previous version of LibreOffice. Finally, let's get going! 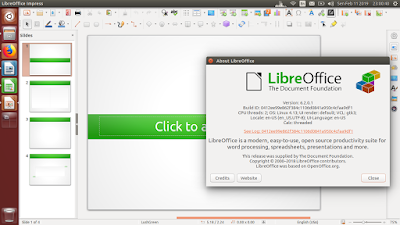 Go to https://www.libreoffice.org/download/appimage and download the Basic-Fresh option. 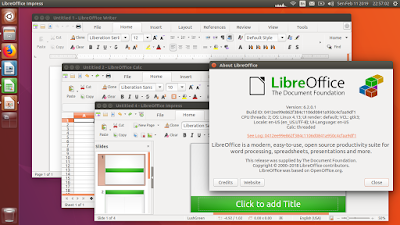 Up to today, LibreOffice Portable for GNU/Linux (appimage version) is only available as 64-bit. If you want 32-bit version, you can kindly ask the maintainer Antomio Faccioli. Huge thanks to him we have AppImage versions today. 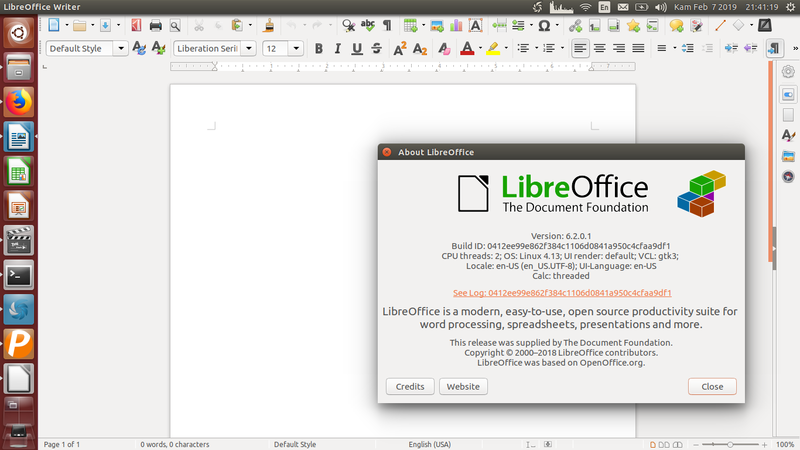 It looks exactly the same as normal LibreOffice (executable format: .deb) we installed from official repository. It means the user interface, the theme, and the appearance do not make any difference to us. See below how Writer, Calc, and Impress running as portable application on Ubuntu 18.04 LTS. I know it must be hassle to run the actual AppImage file again and again. The solution is easy: simply put the LibreOffice Portable onto your start menu. To do so, every GNU/Linux distro has their own way, for example on Unity and GNOME desktops, you use the program called Alacarte Menu Editor. Go to Office category and create New Item. 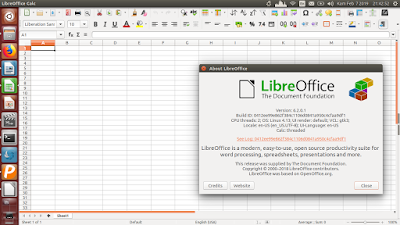 Go to start menu and find your LibreOffice Portable there. Happy working!